Whether in a restaurant or on a plane, the window seat is always being sought after. Well it's no different here at home, it's my window to the world. It's where I watch the comings and goings of everyone - squirrels, chipmunks and my two favorite, the mail man and the guy who drives the big brown truck. You may even catch me dozing off, after all it's not an easy job. He's quite annoying and doesn't understand the concept of sitting still while on a stakeout. How am I suppose to do my job with this big lug getting in the way??? Someone is cramping your style, we think you need two chairs to help! Happy guarding. LOL we agree. 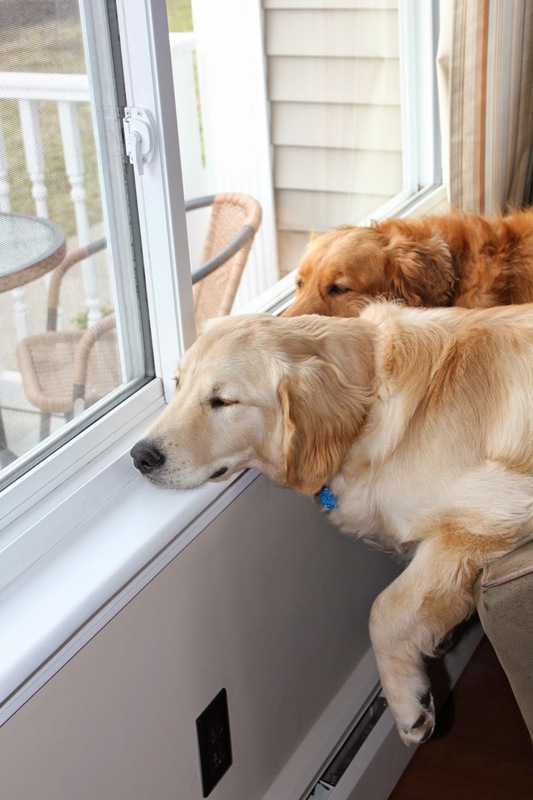 We think two window seats are in order and you can both stake out a bit of the yard each. Have a tremendous Thursday. 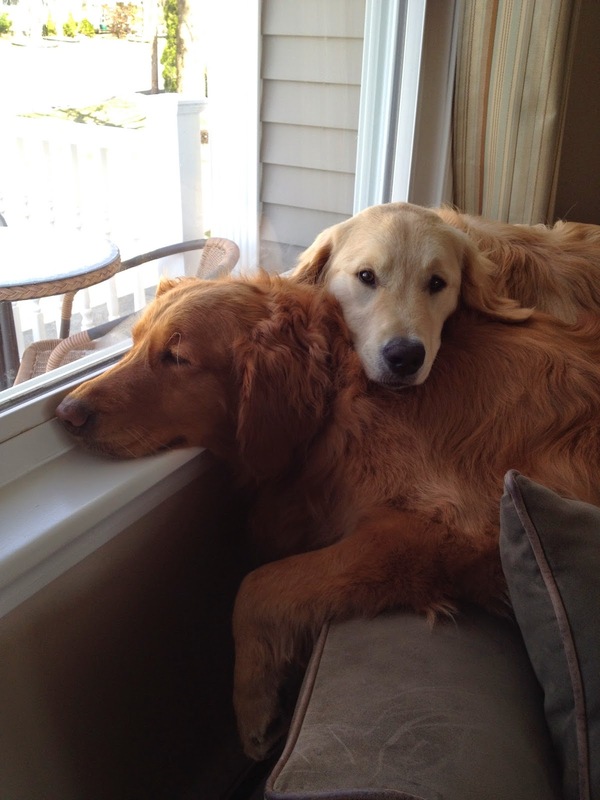 Aww... but you look so sweet together sharing the seat and view! They are so cute when sharing! I bet if you got a second seat, they'd still squish together on this one, though! We know how that is! 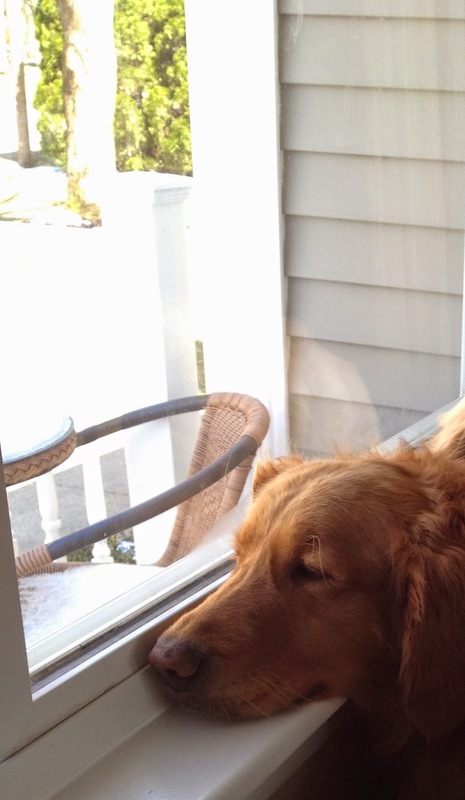 We share windows EXCEPT for the window by my Barking Chair. That one is MINE!